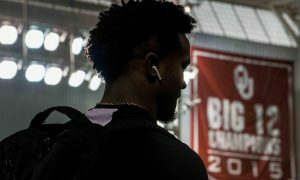 Big 12 Football Mailbag: Spring Game vs. Spring Showcase, Kansas' Odds and More! I will pick the best question for each mailbag and label it as my question of the week. The winner gets a free HCS Koozie to keep your beer cold (Unless you like it warm, but that’s just plain wrong). It was busy question day which tells me that this mailbag is working harder than me at my day job. 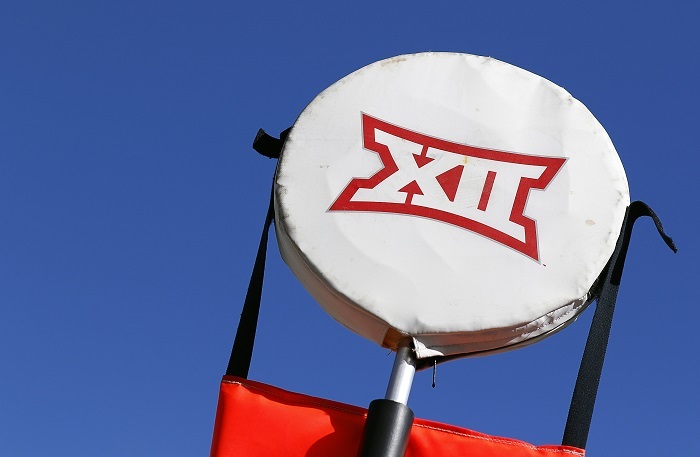 Unlike the “Big 12 blog” over at ESPN (I say that loosely because one story a month is a tragedy), we here at HCS are determined to give you the best Big 12 coverage on the planet. I want to thank each one of you who submitted a question this week and for those reading, I am glad you could join me. If you don’t see your question in part one, you will see it on part two of my mailbag. With spring games around the corner, on to the bag! @woody211 asks: What are the chances that Iowa State makes it to the Big 12 Championship game? Duke: It is VERY early but as of right now I will say anywhere from 30-35%. 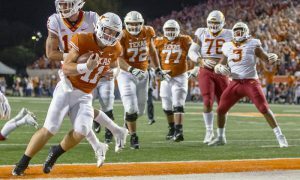 To nobody’s surprise, I have Texas and Oklahoma as my top two Big 12 teams next season, and I think that Iowa State belongs in that top four conversation in the Big 12. With so many question marks throughout the conference, I know two things about Iowa State. 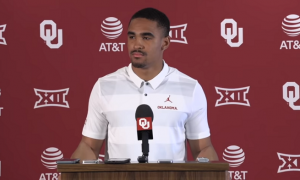 They have a young rising quarterback in Brock Purdy, and they have a fantastic defense coming back although I have some questions at cornerback and with them replacing Hakeem Butler and David Montgomery on offense. However, right now I see them finishing third or fourth in the conference. But think about this, if Texas or Oklahoma slip up, Iowa State could be right there. @istudytrees asks: Over/Under of hat changes for Matt Campbell? Duke: I don’t really pay too much attention to this, but I will set the over under at three. And if I was a betting man (Which I am), I would bet the under. Someone correct me if I am wrong, but I don’t believe I have seen Matt Campbell in any colored hat besides black or red. 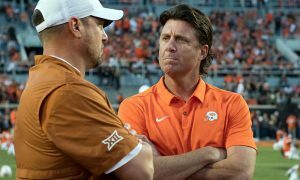 @SethLDow asks: Which Big 12 football or basketball head coach would win in a battle royale setting? Video Game and Hunger Game style. Duke: Let me cut these options down here. Since this is a football mailbag, I am going to stick with the football coaches. Second, I was never into the whole “Hunger Games” thing so it would be dumb for me to even try and guess what that whole thing is about. With that said, I have had a question like this before. I’d go with Mike Gundy from Oklahoma State. He is smaller than most of the other coaches, but he is scrappy and is one of those guys who could live out in the woods for a week and be just fine. Matt Campbell is up there too but if I am putting money on it, give me Gundy and his mullet. 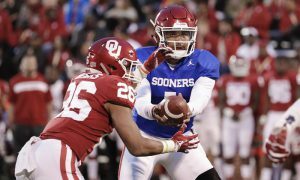 @O77Line asks: Does Kansas win more than three games this year? 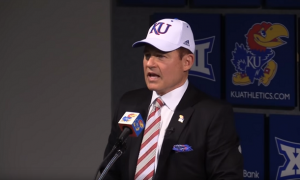 Duke: My short answer is no but I do believe that Kansas will finish the 2019 season at 3-9. The Les Miles era starts off with two home games against Indiana State and Coastal Carolina. Call me crazy but the Jayhawks should enter the third week of the season at 2-0. They could play Boston College close, but I don’t see them pulling that one off before conference play begins. So, for them to reach that third win would require them to win a Big 12 game. My best guess at that would be when they host their instate rival, Kansas State in November. 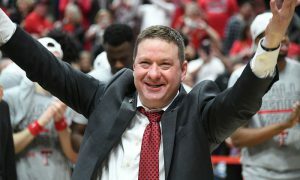 The Wildcats will have some growing pains this upcoming season as well and I wouldn’t be one bit surprised if the mad hatter pulled one out in the Sunflower Showdown. @MissionCFB asks: Organize the 10 football coaches in a 1 on 1 basketball tournament (Play to 11). Who’s the 1 seed and which coach comes out on top? Duke: This is a complete shot in the dark here but here are my rankings 1-10 on how they would shake out. Your guess is probably better than mine because I am clueless on this one. @RPTexas asks: In your opinion, who has the best coaching tree in the last 30 years of CFB? Bonus Question: Who’s going to win the NCAA MBB title next weekend? 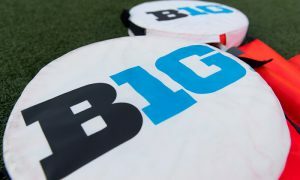 @timschrag asks: Is a spring showcase better than a traditional spring game? Duke: I don’t think I have ever seen a “spring showcase” but my answer would be no. I would much rather see a normal spring game with normal scoring the way the actual games are played. Could the showcase be fun and quirky? Sure, but I want to see guys in a live scrimmage setting instead of one on one drills etc. That’s just me and if I was a fan paying money to attend a spring event, I would certainly rather see a game than a “showcase”.